Ijamsville is now a quaint suburb for families working in nearby Frederick, Washington, D.C, and Baltimore. But you can still see signs of its humble beginnings as a mining and agricultural town throughout the area. Most of the homes in Ijamsville are newer construction homes, but that doesn’t mean that they’re immune to mold and mildew problems. 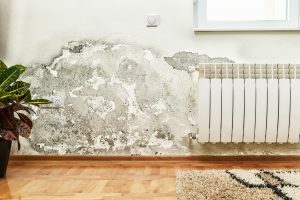 Like the rest of the East Coast, the abundance of ground water, unpredictable storms, and humid climate give plenty of opportunity for mold and mildew to take hold in area homes. Mold not only causes unpleasant smells in your home, it can also cause property damage and health problems. If you suspect you have mold in your basement, you should contact a professional to assess the damage and fix the problem. A professional that specializes in mold remediation in Ijamsville will be able to assess the problems that are unique to the area. Molds are responsible for decomposing dead organic matter and they are found everywhere, but they thrive in dark, moist environments. Ideally, your basement should stay dry enough that mold isn’t a problem, but over time, excess moisture can find its way into basements and create n ideal breeding ground for mold. The most common cause of excess moisture in most homes is condensation. Basement walls are usually several degrees cooler than the walls in the rest of your home because they are underground. When warm humid air meets the cold walls, the water condenses and pools in your basement. Air in the home can get humid as water from showers, cooking, and other sources evaporate into the air. A side effect of the great insulation in newer homes to increase energy efficiency is the retention of humid air in the home, so newer homes are actually more prone to having humidity. Newer homes are less likely to have leaky pipes, but that is also a common cause of mold growth in basements. Pipe leaks can be small an unnoticeable, creating moist conditions for mold behind drywall without leaving visible traces of mold growth. This is problematic, of course, because by the time you notice the mold, it has already become a pervasive problem and caused extensive damage. Another cause of excess basement moisture is water leaking into the basement from outside. Newer homes are made with concrete foundations, which can develop cracks over time from settlement and water damage. Whenever it rains, water that collects near your foundation can seep in through these cracks before it has a chance to drain away. This excess water can not only cause serious property damage, it creates the ideal breeding ground for mold. Even if you don’t see it, you can probably smell it. The combination of mold, the decomposition it causes, and stagnant basement air can create a powerful musty, mildewy smell. But the smell can be fixed relatively easily by a professional specializing in mold remediation in Ijamsville, and it is probably the least of your concerns if you have a mold problem. If left to its own devices, mold can cause extensive property damage. Mold likes to feed on organic matter, including wooden frames, drywall, carpet, insulation, wallpaper, furniture, and cardboard. All of this property in your basement is susceptible to being damaged by mold. As you can imagine, this can lead to an extensive bill. There are certain types of molds that can even produce toxins that can cause severe allergic reactions and compromise your immune system. Although mold problems are universal, the specific types of molds and the way they present are unique to each location. If you suspect you have a mold problem, you should contact a company that specializes in mold remediation in Ijamsville. Mold remediation in Ijamsville involves a special process of decontaminating surfaces affected by mold, removing traces of dangerous mold spores from your home, and ensuring that the problem does not reoccur in your basement.